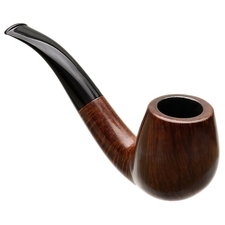 Jess Chonowitsch. 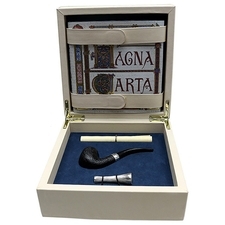 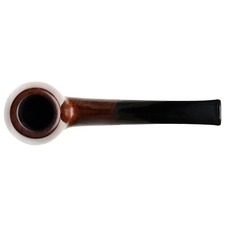 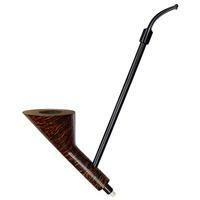 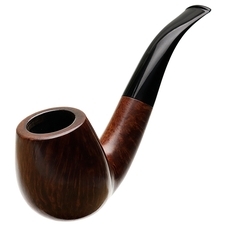 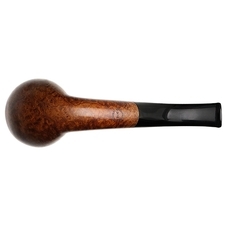 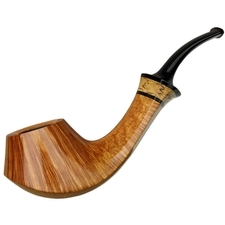 The name has become synonymous with some of the best work the pipemaking community has to offer. 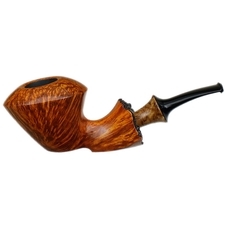 A master carver, Jess has been producing pipes in Denmark for the last 40 years, and his pieces are pined over and sought after by collectors worldwide. 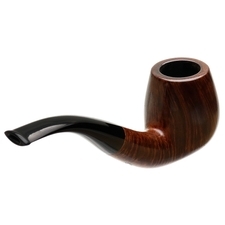 Chonowitsch tends to lean more to straight designs, but he does, however, produce some stunning bent shapes as well, proven here by this exquisite bent Billiard. 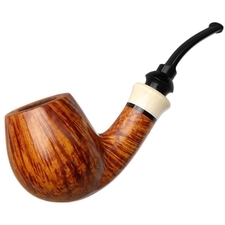 Imbued with an elegant S-curve and gently lifted heel, this piece features a supple, slightly tapered bowl and displays a wealth of flame grain over the entirety of its surface. 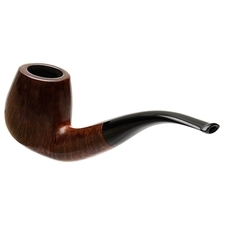 Condition wise, it was unevenly over reamed at some point, and there are some tiny dings around the bowl. 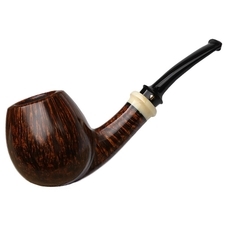 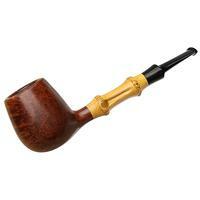 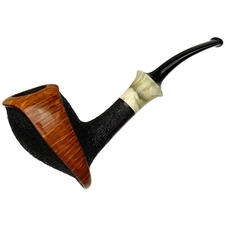 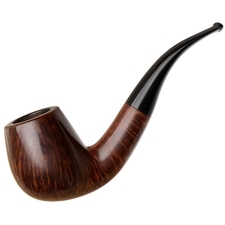 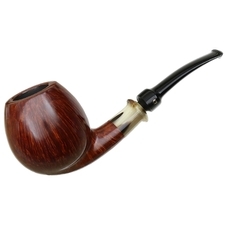 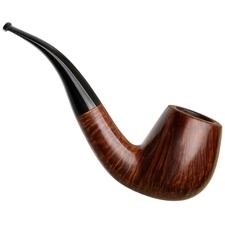 That being said, this pipe is still in good condition and would make an excellent addition to the collection of any Danish connoisseur.